Multiple siderophores: bug or feature? It is common for bacteria to produce chemically diverse sets of small Fe-binding molecules called siderophores. 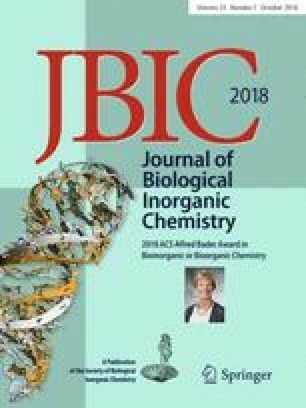 Studies of siderophore bioinorganic chemistry have firmly established the role of these molecules in Fe uptake and provided great insight into Fe complexation. However, we still do not fully understand why microbes make so many siderophores. In many cases, the release of small structural variants or siderophore fragments has been ignored, or considered as an inefficiency of siderophore biosynthesis. Yet, in natural settings, microbes live in complex consortia and it has become increasingly clear that the secondary metabolite repertoires of microbes reflect this dynamic environment. Multiple siderophore production may, therefore, provide a window into microbial life in the wild. This minireview focuses on three biochemical routes by which multiple siderophores can be released by the same organism—multiple biosynthetic gene clusters, fragment release, and precursor-directed biosynthesis—and highlights emergent themes related to each. We also emphasize the plurality of reasons for multiple siderophore production, which include enhanced iron uptake via synergistic siderophore use, microbial warfare and cooperation, and non-classical functions such as the use of siderophores to take up metals other than Fe. We thank the Princeton Environmental Institute as well as the National Science Foundation (OCE 1657639 granted to F.M.M.) for funding support.